Located in the Award winning CAPERS BUILDING on 4th Ave, this immaculate 1 bedroom suite is a great catch! 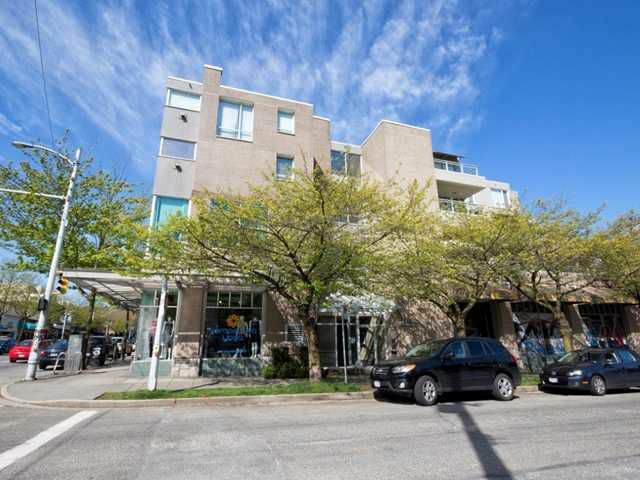 Park the car - you're just a short walk to convenient shopping, great restaurants and Kits beach/pool. Builtwith rainscreen technology, this well maintained building boasts a built-in water filtration system, geothermal H/W heating and other eco-friendly elements. Recently painted, this bright south facing suite features a gas fireplace, laminate floors, a newer fridge and newer washer/dryer. The bedroom can easily accommodate a King-size bed. The bathroom has an additional shower as well as radiant floor heating. The suite comes with 1 parking and 1 large locker. Pets & rentals OK.